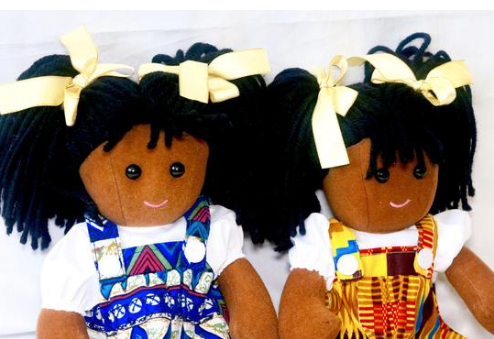 JUST LIKE ME TOYS IS THE HOME FOR BLACK AND ETHNIC DOLLS. 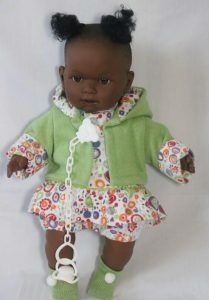 We specialise in good quality dolls and clothing. Our dolls are carefully chosen for their quality, beauty and inspirational attraction. They are excellently crafted and beautifully presented. 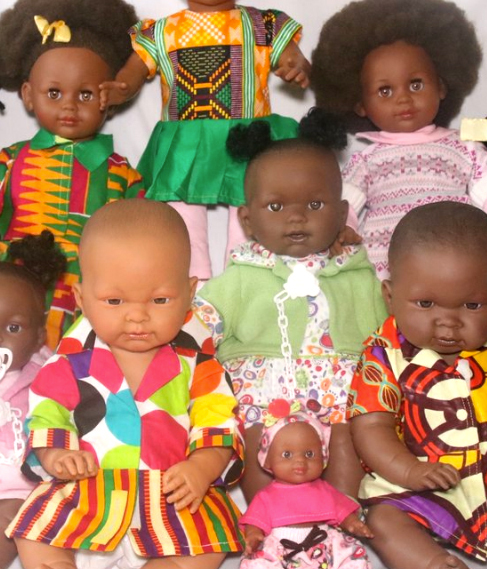 Just Like Me Toys is home for Black and Ethnic Dolls. 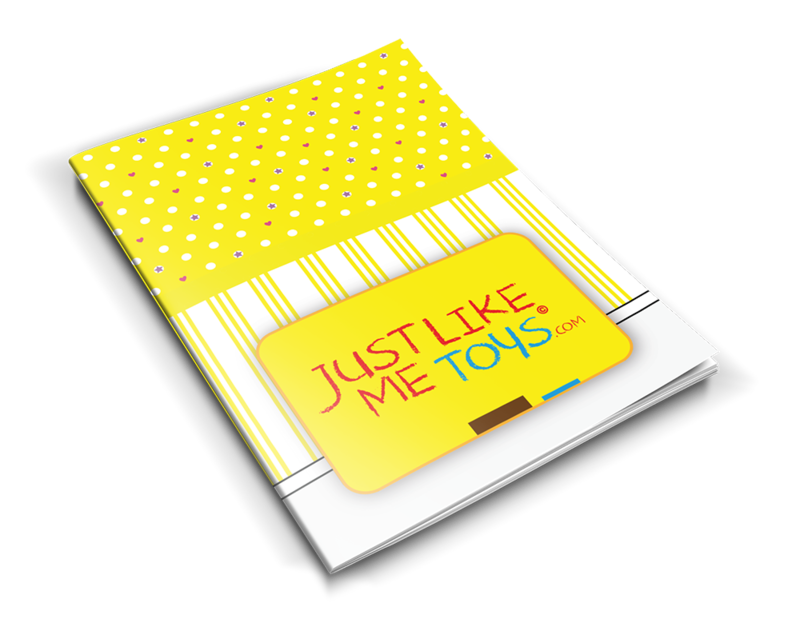 At Just Like Me Toys you will find an extensive collection of children’s dolls and dolls clothes for you and your child to love. We have the beautiful Llorens crying and talking soft-bodied doll range with an exquisite clothes range. We have the beautifully designed Poala Reina Everyday girl doll sporting her Afro hair that can be styled using ribbons and other hair accessories. If you are looking for a baby doll, rag doll, anatomically correct doll , look no further. You can also choose from our colourful range of African print designs. We hope you have fun browsing through our doll collection which will be updated as and when we have new designs. We are an independent toy shop. If you have any comments or suggestions for the site, or have any questions at all, we would love to hear from you. Kaya Rag Doll is a lovely soft cuddly doll by Just Like Me Toys. Her body is made with brown polyester fabric and polyester fillings. She has black eyes made from plastic and a tiny stitched-on month. Her hair is woollen, rasta style, long and black, and is secured with two yellow ribbons into ponytails. that matches her shoes. She stitched on yellow shoes. Kaya’s clothes are colourful. The dress is an all-in-one pinafore made from African print and is worn with white blouse. Beneath her dress, Kaya wears a white pair of bloomers. Kaya’s clothes and body are machine washable. She is suitable for children 3 years onwards due to objects that can be removed. Kieana doll is a crying talking doll with a dummy that helps to calm her down when she cries. Her head and limbs are smooth to touch and is slightly scented. Her body is made from fabric. Her voice box is secured inside her back, which once activated, she cries and calls “Mama, Papa” until she gets her dummy. Kieana is wearing a beautiful printed dress with matching shorts and green jacket with cuffs that matches her dress. She has matching green booties and wears her hair in two ponytails at the top of her head adorned with green hair ties.